These excore detectors are usually located in instrument wells in the primary shield (concrete shield) adjacent to the reactor vessel. The system provides indication, control, and alarm signals for reactor operation and protection. Therefore the excore nuclear instrumentation system is considered a safety related system, because it provides inputs to the reactor protection system during startup and power operation. This system is of the highest importance for reactor protection system, because changes in the neutron flux can be almost promptly recognized only via this system. The primary function of the excore nuclear instrumentation system is to protect the reactor core from overpower by monitoring the neutron flux and generating appropriate alarms and reactor trips to shutdown the reactor when required. Each range of instrumentation (source, intermediate, and power) provides the necessary overpower reactor trip protection (high neutron flux reactor trip) required during operation in that range. Since the neutrons are electrically neutral particles, they are mainly subject to strong nuclear forces but not to electric forces. Therefore neutrons are not directly ionizing and they have usually to be converted into charged particles before they can be detected. Generally every type of neutron detector must be equipped with converter (to convert neutron radiation to common detectable radiation) and one of the conventional radiation detectors (scintillation detector, gaseous detector, semiconductor detector, etc.). Ionization chambers are often used as the charged particle detection device. For example, if the inner surface of the ionization chamber is coated with a thin coat of boron, the (n,alpha) reaction can take place. Most of (n,alpha) reactions of thermal neutrons are 10B(n,alpha)7Li reactions accompanied by 0.48 MeV gamma emission. Moreover, isotope boron-10 has high (n,alpha) reaction cross-section along the entire neutron energy spectrum. The alpha particle causes ionization within the chamber, and ejected electrons cause further secondary ionizations. Another method for detecting neutrons using an ionization chamber is to use the gas boron trifluoride (BF3) instead of air in the chamber. 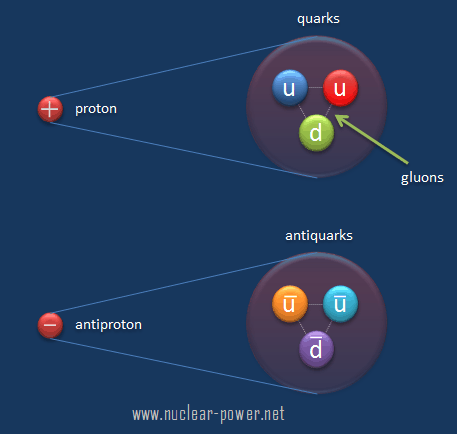 The incoming neutrons produce alpha particles when they react with the boron atoms in the detector gas. Either method may be used to detect neutrons in nuclear reactor. It must be noted, BF3 counters are usually operated in the proportional region. The source range detectors monitor neutron flux (reactor power) at the lowest shutdown levels and provide indication, alarms, and reactor trips. Source range instrumentation usually consists of two or four source range channels, each with its own separate detector, cable run, and electronic circuitry. The detectors utilized are usually high-sensitivity boron-triflouride (BF3) proportional counters. In general, proportional counters are capable of particle identification and energy measurement (spectroscopy). The pulse height reflects the energy deposited by the incident radiation in the detector gas. As such, it is possible to distinguish the larger pulses produced by alpha particles (produced by (n,alpha) reactions) from the smaller pulses produced by beta particles or gamma rays. These BF3 detectors produce a pulse rate output proportional to the thermal neutron flux seen at the detector. These channels are typically used over a counting range of 0.1 to 106 counts per second, but vary based on reactor design. These excore detectors are usually located in instrument wells in the primary shield (concrete shield) adjacent to the reactor vessel. The source range instrumentation monitors and indicates the neutron flux level of the reactor core and the rate by which the neutron flux changes during a reactor shutdown and the initial phase of start-up. They are very important for monitoring of subcriticality during fuel reload, when subcritical multiplication takes place. The neutron flux is indicated in counts per second (cps). The rate of change of the neutron population is indicated as startup rate (SUR), which is defined as the number of factors of ten that power changes in one minute. Therefore the units of SUR are powers of ten per minute, or decades per minute (dpm). Discrimination. During the reactor shutdown and the initial phase of start-up, it is required to distinguish the relatively small number of pulses produced by neutrons from the large number of pulses produced by gamma radiation. Thus gamma discrimination is of particular interest during shutdown after the reactor core reaches significant level of fuel burnup. This condition produces a high gamma field and a low neutron flux around the detector. Proportional counters allow for discrimination but they must be calibrated. The discriminator excludes passage of pulses that are less than a predetermined level. The function of the discriminator is to exclude noise and gamma pulses that are lower in magnitude than neutron pulses (alpha pulses respectively). 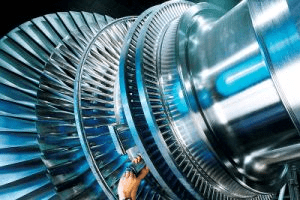 Many power plants have found it necessary to place source range proportional counters in lead shielding to reduce gamma radiation at the detectors. This increases the low end sensitivity of the detector, and it may extend the detector life. Dead Time. This instrument can indicate up to a maximum neutron count rate of 106 cps. Higher count rates are influenced by phenomenon known as dead-time. The dead-time is the period during which the detector is busy and cannot accept and process pulses. This phenomenon can have serious consequences, since dead-time distorts outputs at high activities or high dose rates. 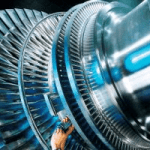 There are some power plants that have made provisions for moving the source range detectors from their operating positions to a position of reduced neutron flux level, once the flux level increases above the source range. Special Reference: Standard Review Plan for the Review of Safety Analysis Reports for Nuclear Power Plants: LWR Edition. NUREG-0800, US NRC. As was written, the excore nuclear instrumentation system is considered a safety related system, because it provides inputs to the reactor protection system. The source range neutron flux trip provides the core protection for reactivity accidents in MODE 2 (reactor startup). For example, the source range neutron flux trip ensures that protection is provided against an uncontrolled RCCA bank rod withdrawal accident from a subcritical condition during startup. It also provides protection for boron dilution accident and control rod ejection events. During refueling, source range detectors also ensure monitoring of reactor subcriticality. They are also equipped with an alarm, that may serve as a containment evacuation signal if the neutron flux exceeds a preset value. This alarm alerts the control room operators and personnel in containment of a positive reactivity addition to the reactor during shutdown conditions. The intermediate range detectors monitor neutron flux (reactor power) at the intermediate flux level. They also provide indication, alarms, and reactor trip signals. Their range is from the upper part of the source range through the power range (cover a span of eight decades). The design of this instrument is chosen to provide overlap between the source range channels and partial or full span of the power range instruments. Intermediate range instrumentation usually consists of two or four channels, each with its own separate detector, cable run, and electronic circuitry. The detectors utilized are usually boron-lined or boron gas-filled compensated ionization chambers or fission chambers. Their accuracy usually does not achieve the accuracy of the power range instrumentation operating in a much narrower range. The source range instrumentation monitors and indicates the neutron flux level of the reactor core and the rate by which the neutron flux changes during entire phase of reactor start-up and power operation. The neutron flux is indicated in percentage of rated power. The rate of change of the neutron population is indicated as startup rate (SUR), which is defined as the number of factors of ten that power changes in one minute. Therefore the units of SUR are powers of ten per minute, or decades per minute (dpm). High startup rate on either channel may initiate a protective action. As was written, the excore nuclear instrumentation system is considered a safety related system, because it provides inputs to the reactor protection system. The intermediate range neutron flux trip provides the core protection against an uncontrolled RCCA bank rod withdrawal accident from a subcritical condition during startup. 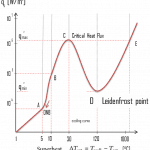 This trip function provides redundant protection to the power range neutron flux – low setpoint. It also provides redundant protection to the source range trip function for boron dilution accident and control rod ejection events. Compensated Ionization Chamber Source: U.S. Department of Energy, Instrumentation and Control. DOE Fundamentals Handbook, Volume 2 of 2. June 1992. The ionization chamber, also known as the ion chamber, is electrical device that detects various types of ionizing radiation. 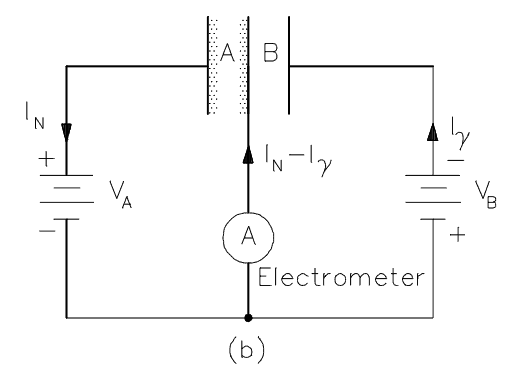 The voltage of detector is adjusted so that the conditions correspond to the ionization region. The voltage is not high enough to produce gas amplification (secondary ionization). Ionization chambers are preferred for high radiation dose rates because they have no “dead time”, a phenomenon which affects the accuracy of the Geiger-Mueller tube at high dose rates. The compensated ion chamber is utilized in the intermediate range because the current output is proportional to the relatively stable neutron flux, and it compensates for signals from gamma flux. The compensated ion chamber consist of two detectors in one case. The outer chamber is coated on the inside with boron-10, while the inner chamber is uncoated. The coated chamber is sensitive to both gamma rays and neutrons, while the uncoated chamber is sensitive only to gamma rays. By connecting the two chambers in a proper way, the net electrical output from the detector will be the current due to neutrons only. To achieve the proper amount of gamma compensation, the voltages between these two sets of electrodes must be balanced. The consequences of operating with an overcompensated or undercompensated chamber are important. If the voltage in the compensation chamber is too high, the detector is overcompensated and some neutron current, as well as all of the gamma current, is blocked, and indicated power is lower than actual core power. If the compensating voltage is too low, undercompensation will occur. At high power, gamma flux is relatively small compared to neutron flux, and the effects of improper compensation may not be noticed. It is extremely important, however, that the chamber be properly compensated during reactor startup and shutdown. See also: U.S. Department of Energy, Instrumentation and Control. DOE Fundamentals Handbook, Volume 2 of 2. June 1992. Fission chambers are ionization detectors used to detect neutrons. Fission chambers may be used as the intermediate range detectors to monitor neutron flux (reactor power) at the intermediate flux level. They also provide indication, alarms, and reactor trip signals. The design of this instrument is chosen to provide overlap between the source range channels and full span of the power range instruments. In general, the ionization chamber, also known as the ion chamber, is electrical device that detects various types of ionizing radiation. The voltage of detector is adjusted so that the conditions correspond to the ionization region. The voltage is not high enough to produce gas amplification (secondary ionization). Ionization chambers are preferred for high radiation dose rates because they have no “dead time”, a phenomenon which affects the accuracy of the Geiger-Mueller tube at high dose rates. Moreover, in the ionization region, an increase in voltage does not cause a substantial increase in the number of ion-pairs collected. The number of ion-pairs collected by the electrodes is equal to the number of ion-pairs produced by the incident radiation, and is dependent on the type and energy of the particles or rays in the incident radiation. In case of fission chambers, the chamber is coated with a thin layer of highly enriched uranium-235 to detect neutrons. Neutrons are not directly ionizing and they have usually to be converted into charged particles before they can be detected. A thermal neutron will cause an atom of uranium-235 to fission, with the two fission fragments produced having a high kinetic energy and causing ionization of the argon gas within the detector. 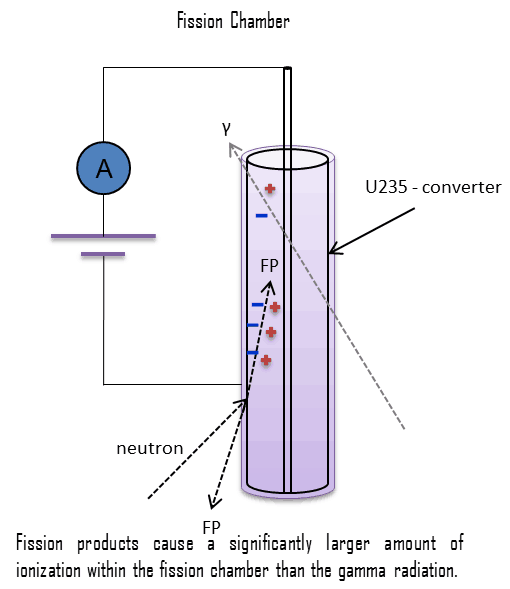 One advantage of using uranium-235 coating rather than boron-10 is that the fission fragments have a much higher energy than the alpha particle from a boron reaction. Moreover, the fission fragments resulting from the interaction of neutrons with the coating cause a significantly larger amount of ionization within the fission chamber than the gamma radiation incident on the detector. This results in the neutron generated charge pulses being significantly larger than the gamma pulses. Pulse size discrimination circuitry can then be used to block out the unwanted gamma pulses. Therefore fission chambers are very sensitive to neutron flux and this allows the fission chambers to operate in higher gamma fields than an uncompensated ion chamber with boron lining. Fission chambers are often used as current indicating devices and pulse devices depending on the neutron flux level. In the pulse mode, fission chambers are especially useful, due to the very large pulse size difference between neutrons and gamma rays. When power is high in the intermediate range or in the power range (i.e. in a high level mixed gamma and neutron flux), fission chambers can be operated in Campbelling mode (also known as “fluctuation mode” or “mean square voltage mode”) to provide reliable and precise neutron related measurements. The Campbelling technique eliminates the gamma contribution. 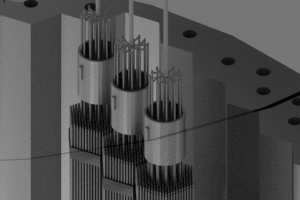 Because of the fission chamber’s dual use, it is often used in “wide range” channels in nuclear instrumentation systems. Power range detectors are key nuclear instrumentation system for power operation. They monitor neutron flux (reactor power) from zero to about 120% of full rated power along with indication of the axial and radial distribution of that power. They also provide indication, alarms, and reactor trip signals. As neutron flux level increase into the power range, gamma compensation is not a major concern because gamma rays do not contribute much to the total ionization (about 0.1% at 100% power). Therefore, the power range instrumentation usually consists of four uncompensated ionization chambers, each with its own separate detector, cable run, and electronic circuitry. The ionization chamber, also known as the ion chamber, is electrical device that detects various types of ionizing radiation. 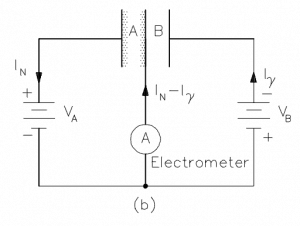 The voltage of detector is adjusted so that the conditions correspond to the ionization region. The voltage is not high enough to produce gas amplification (secondary ionization). Ionization chambers are preferred for high radiation dose rates because they have no “dead time”, a phenomenon which affects the accuracy of the Geiger-Mueller tube at high dose rates. The detector consists of a single cylindrical chamber whose operation is identical to that of the boron lined chamber of the compensated ion chamber. This uncompensated chamber is sensitive to both gamma rays and neutrons. However, in the power range of operation, the neutron flux level is many times greater than the gamma flux, and therefore, no gamma compensation is required. All four channels are physically and functionally identical. Each power range channel employs an upper and a lower uncompensated ion chamber detector (tandem detector) which allows for measurement of axial flux difference. Each channel also monitors a “quadrant” of the core. An upper detector and a lower detector are mounted inside the same instrument well. The outputs of both detectors (upper and lower) are combined to produce a channel total power signal. The eight detector outputs (four upper detectors and four lower detectors) are compared to each other to provide power distribution information (AFD and QPTR) to the reactor operator. The axial flux difference is defined as the difference in normalized flux signals (AFD) between the top and bottom halves of a two section excore neutron detector, will decrease. where Itop and Ibottom are expressed as a fraction of rated thermal power. The ratio of the maximum upper excore detector calibrated output to the average of the upper excore detector calibrated outputs, or the ratio of the maximum lower excore detector calibrated output to the average of the lower excore detector calibrated outputs, whichever is greater. The power range instrumentation monitors and indicates the neutron flux level of the reactor core and the rate by which the neutron flux changes during a power operation and standard load follow operation. The neutron flux is indicated as percentage of rated power. The rate of change of the neutron population is indicated as startup rate (SUR), which is defined as the number of factors of ten that power changes in one minute. Therefore the units of SUR are powers of ten per minute, or decades per minute (dpm). Although the nuclear instrumentation system provides prompt response on neutron flux changes and it is irreplaceable system, it must be calibrated. 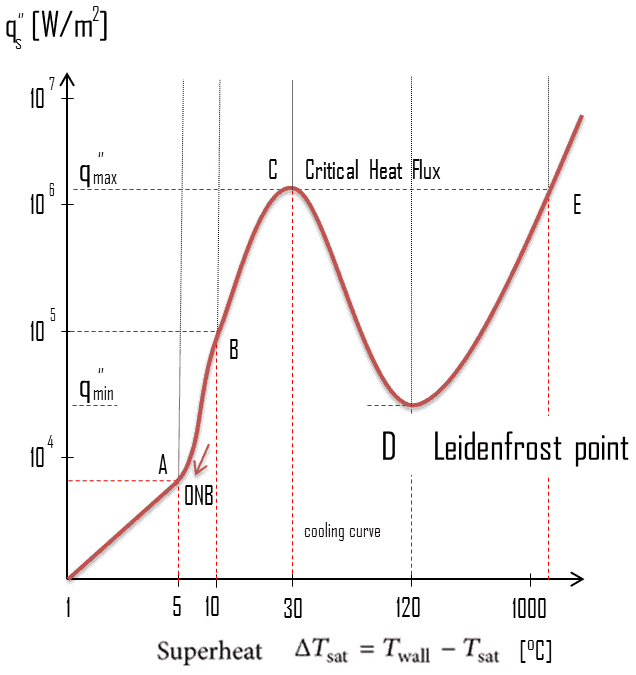 Power range channels are calibrated to indicate percent rated thermal power by a secondary heat balance (calorimetric). The accurate thermal power of the reactor can be measured only by methods based on energy balance of primary circuit or energy balance of secondary circuit. In a power reactor over a relatively short period of time (days or weeks), the atomic number density of the fuel atoms remains relatively constant. Therefore in this short period, also the average neutron flux remains constant, when reactor is operated at a constant power level. On the other hand, the atomic number densities of fissile isotopes over a period of months decrease due to the fuel burnup and therefore also the macroscopic cross-sections decrease. This results is slow increase in the neutron flux in order to keep the desired power level. Therefore, the excore nuclear instrumentation system must be periodically calibrated. The Power Range Neutron Flux (Low – Setpoint). A reactor trip will occur if power level exceeds the preset value (for example 25%) on two of four channels, and the trip is not blocked. The Power Range Neutron Flux (High – Setpoint). A reactor trip will occur if power level exceeds the preset value (for example 109%) on two of four channels to protect the core from an overpower condition and to protect from a positive reactivity excursion leading to DNB during power operations. This trip cannot be blocked. Rate Trips. If the rate of change of reactor power exceeds a preset value in either the positive or negative direction, a reactor trip will occur. 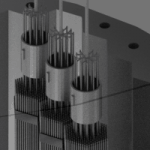 High Positive Rate trip ensures that protection is provided against rapid increases in neutron flux that are characteristic of an RCCA drive rod housing rupture and the accompanying ejection of the RCCA. High Negative Rate trip ensures that protection is provided for multiple rod drop accidents. At high power levels, a multiple rod drop accident could cause local flux peaking that would result in a nonconservative local DNBR.